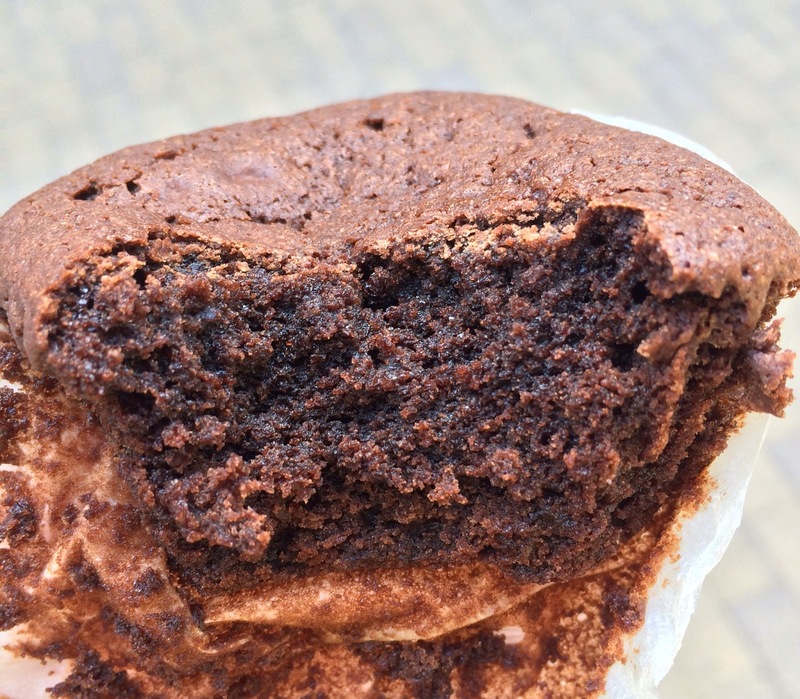 While in Austin, I went to a specific conbini often in downtown to get some drinks, and there, I found Pillsbury Brownies. I've been to any kinds of shops like supermarkets, retail stores, and conbini, but it's my first time to see this and know that Pillsbury produces not only the baking goods and pre-made doughs but also baked items. Like other Pillsbury merchandises, there's a blue Pillsbury logo and also Doughboy with a chef hat. 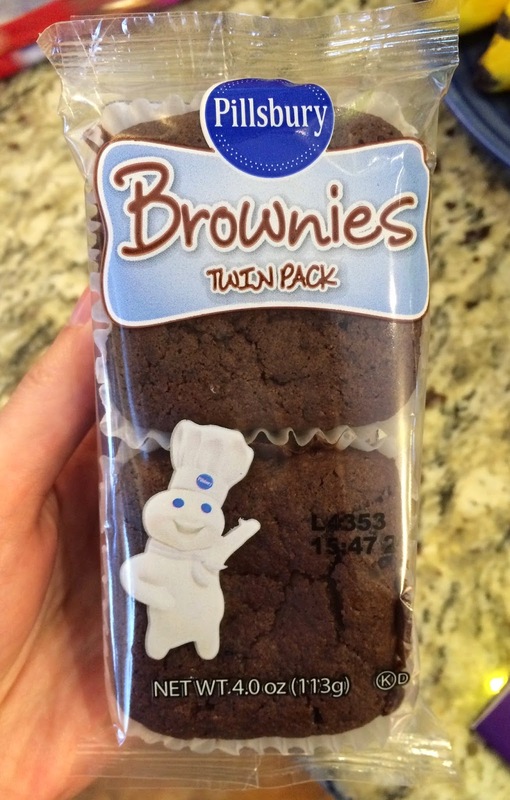 This is a Twin Pack as written under "Brownies." When I opened the package, sweet and rich chocolate flavor came out. The top was dried in a good way. When I peeled off the paper wrap, the dough looked moist. 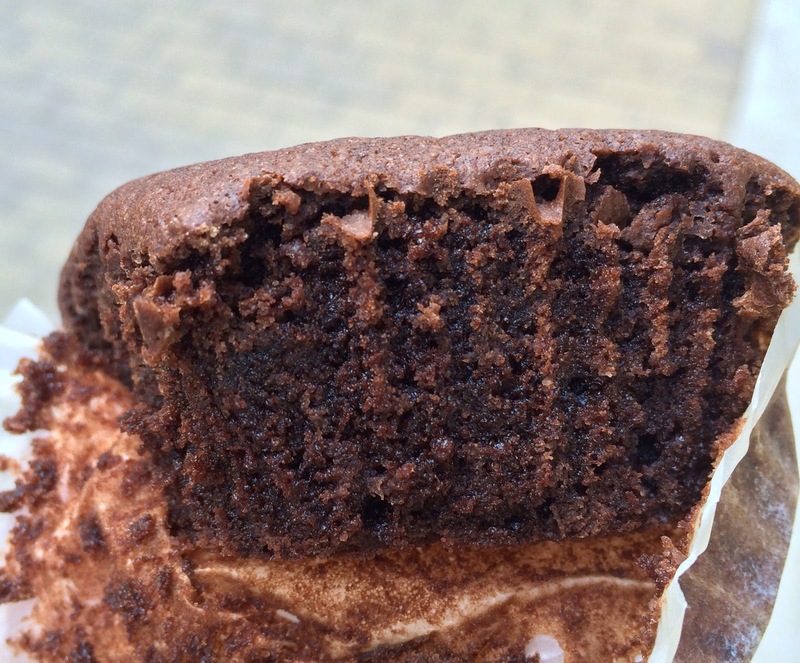 The inside was moister and richer when I bit. 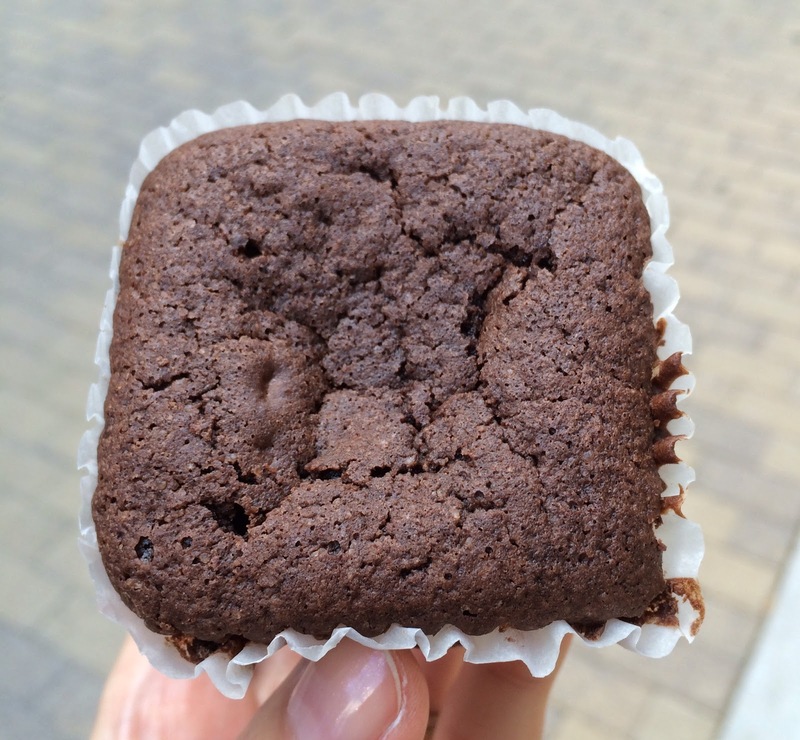 It's got really rich chocolate flavor and it's a smooth yet dense and very simple brownie without any nuts. It's so sweet that I thought this small portion was perfect.